Thanks to the latest DJ-Classifieds update you can set Joomla ads extension use Points/Credits only. We’ve just released the version 3.6.2 of DJ-Classifieds. Latest classified ads Joomla extension update bring new features and some changes! Today we bring a special 28% discount on all products! We've released the DJ-Classifieds Ajax App that changes way Joomla ads extension works. We've updated the Joomla gallery and slideshow extension to 2.9.1 version. It comes with a new feature - auto image orientation using EXIF data. This feature resolves the problem with images reported by the smartphone users. Updated DJ-MediaTools brings also new 3 fixes. You can learn more about them here. 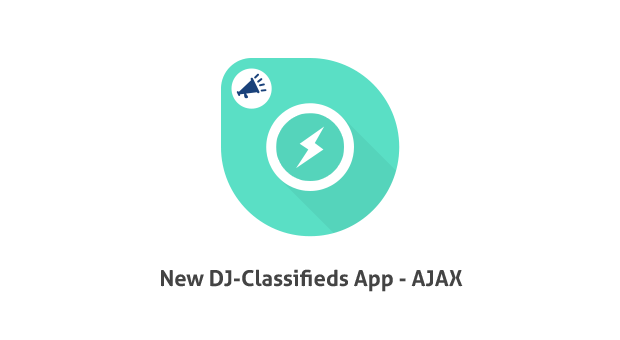 New Ajax App for DJ-Classifieds! New release! Check the Ajax App for DJ Classifieds Joomla extension. 2017 Valentine's Day Sale! We offer our fantastic Joomla extensions cheaper! DJ-MediaTools version 2.9.0 is now available! The Joomla gallery and slider extension was updated with Watermark functionality. The new version comes with a new feature and many useful changes.